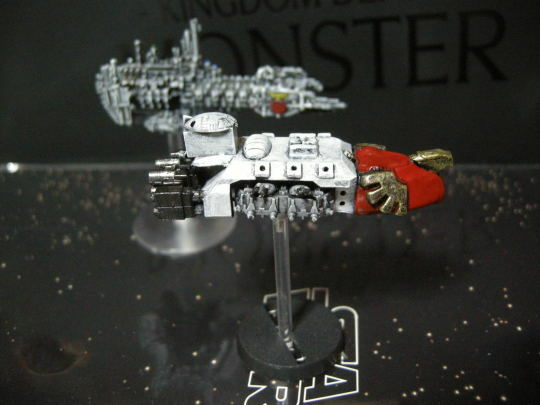 whoa wait up. 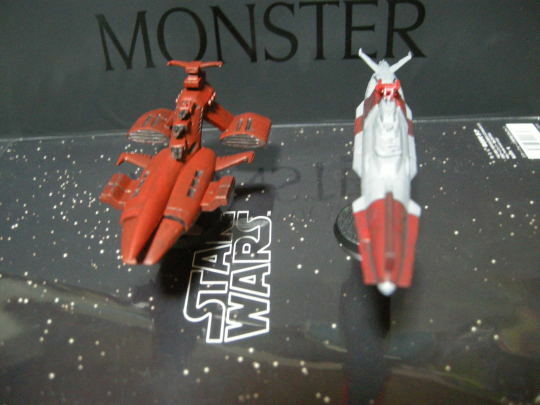 where's the Conestoga class starship from? 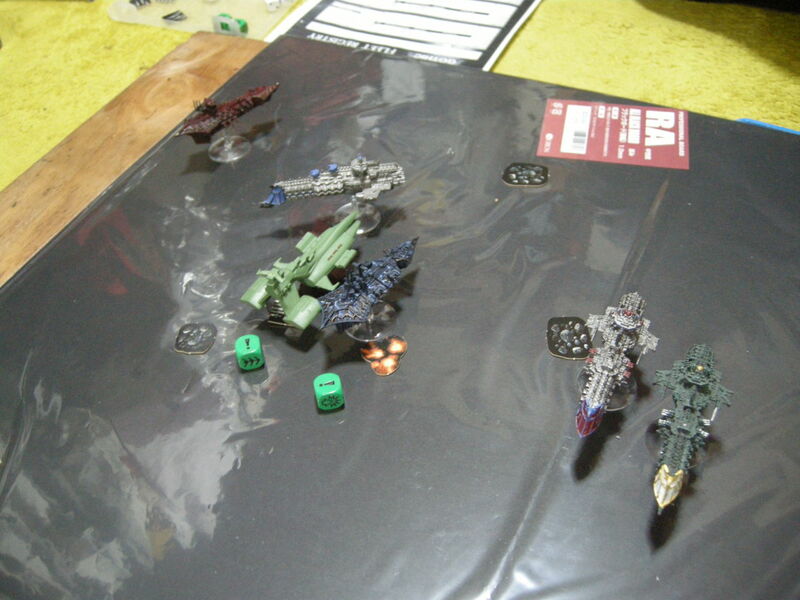 You did a good job with them! Was a "gashapon" limited release a few years back here in Japan. 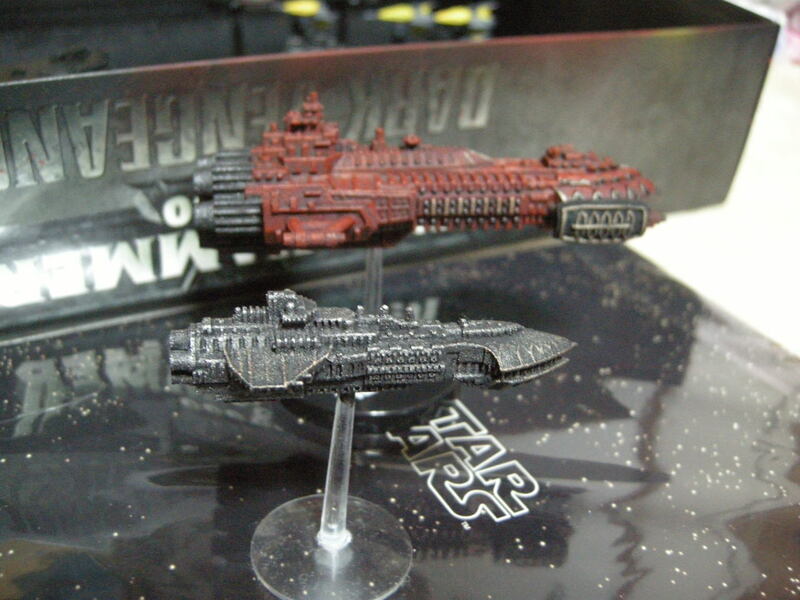 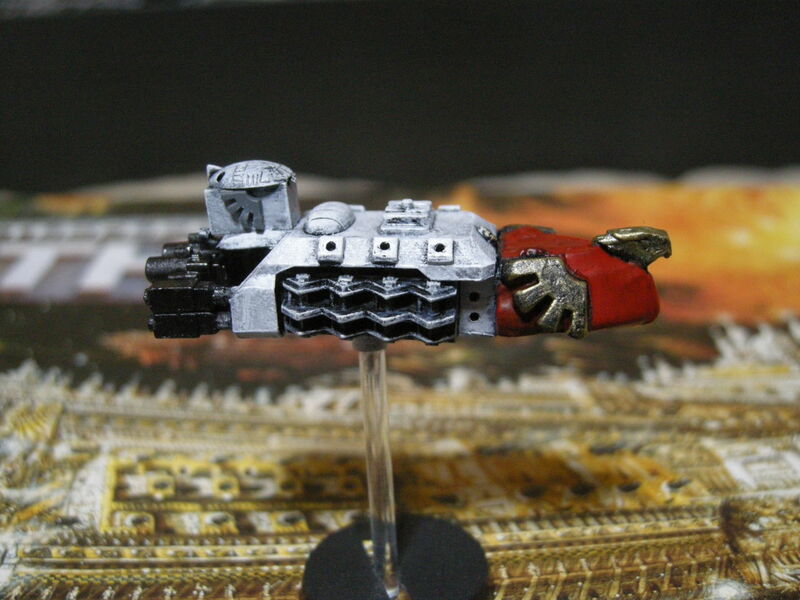 And progress on the Shapeways Heresy Barge and cruiser. Were the prints done in Strong and Flexible? 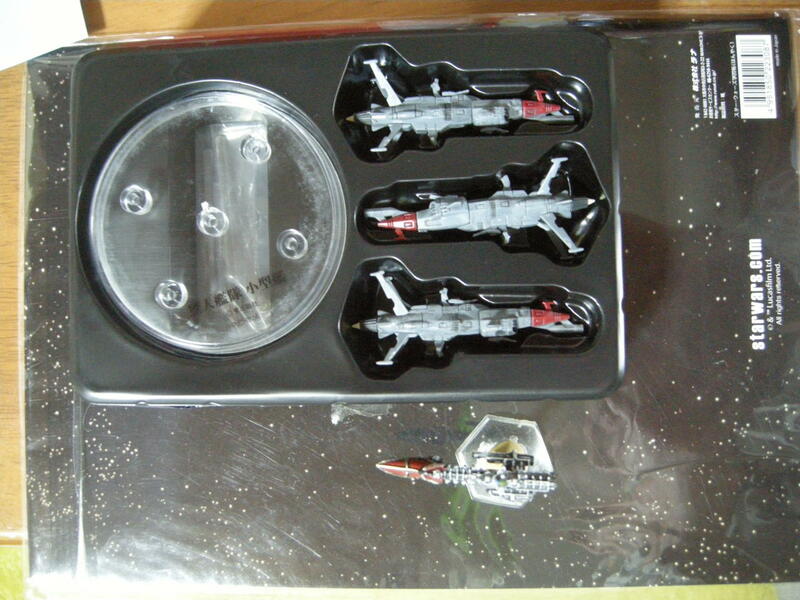 I just used the standard one, will be ok if i pack it correctly. 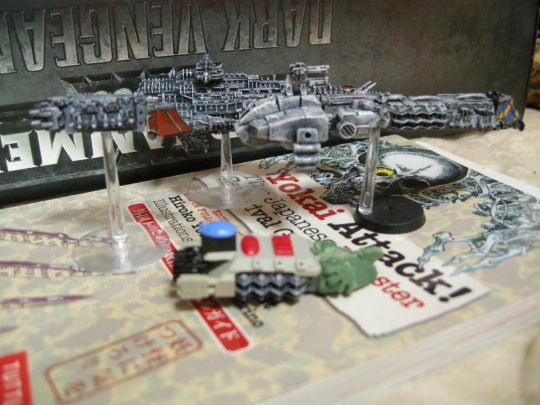 Fixed the bases on the BFG ships and modified the chaos ships my Yamato 2199 and gundam musai can proxie as carrier ships so i turned my chaos ships into gun boats. 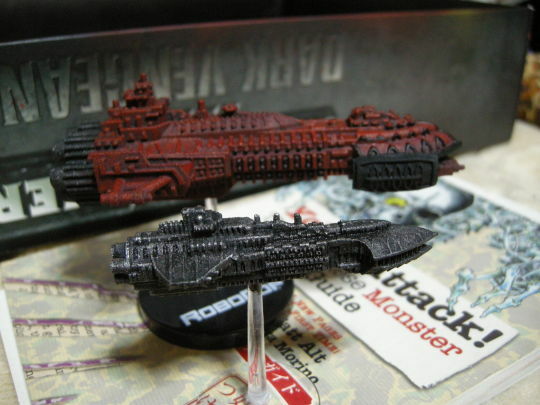 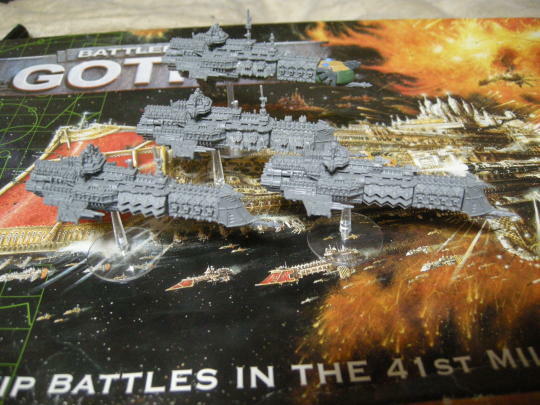 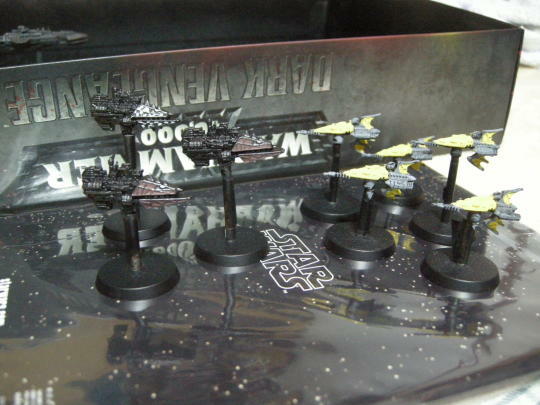 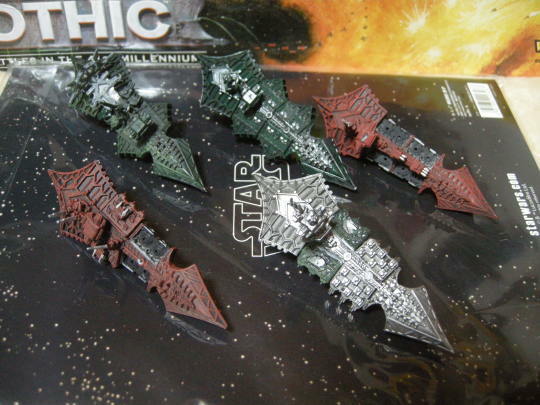 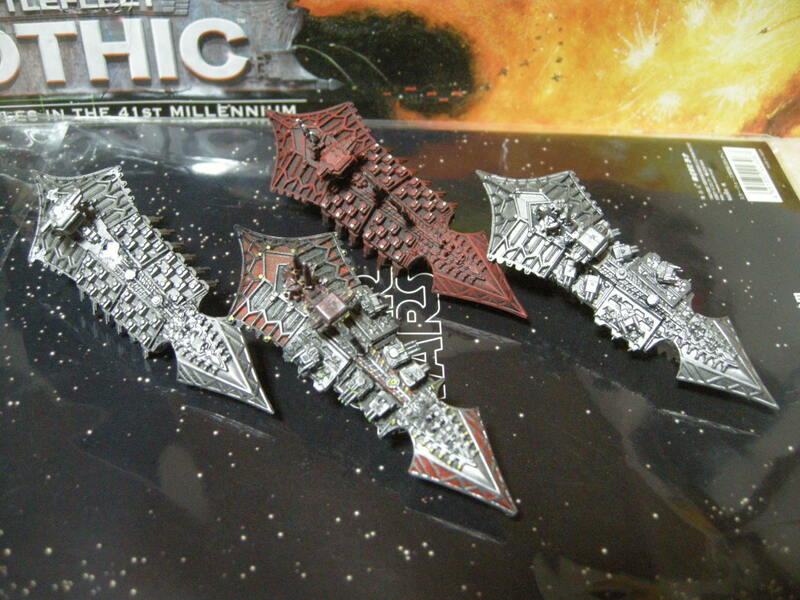 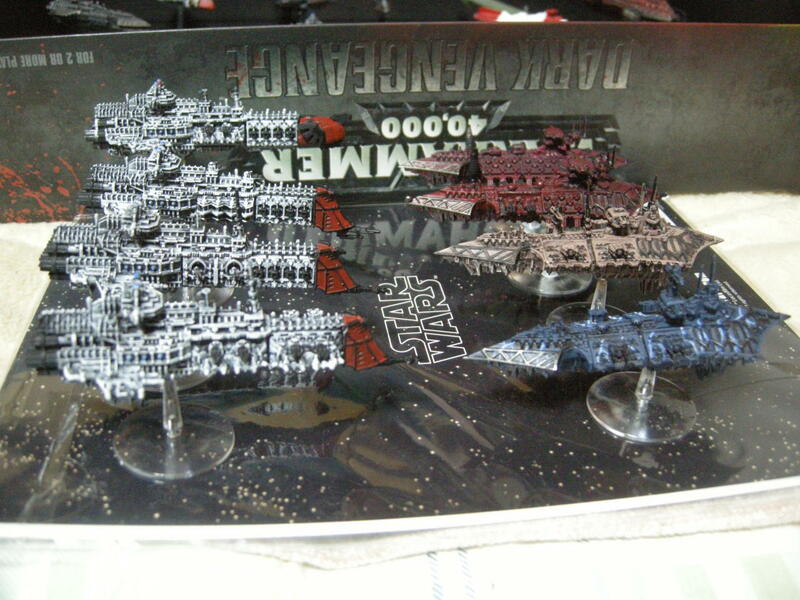 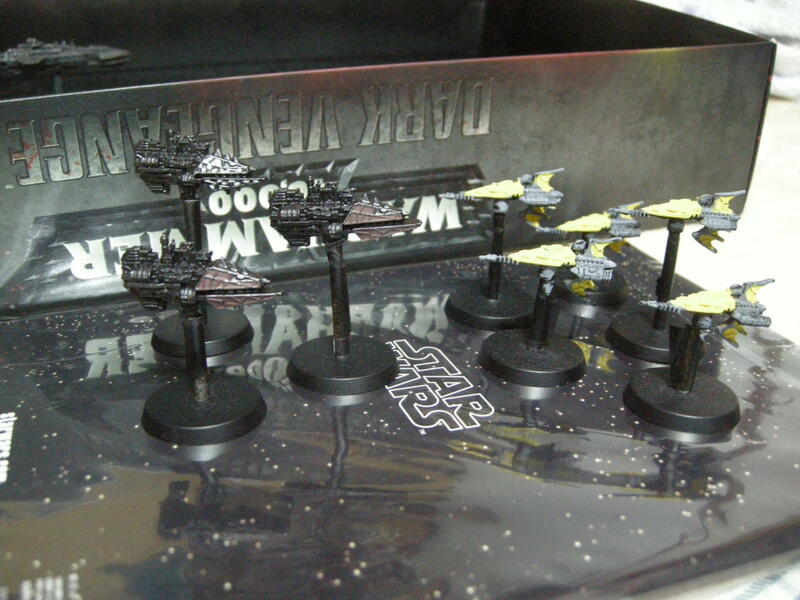 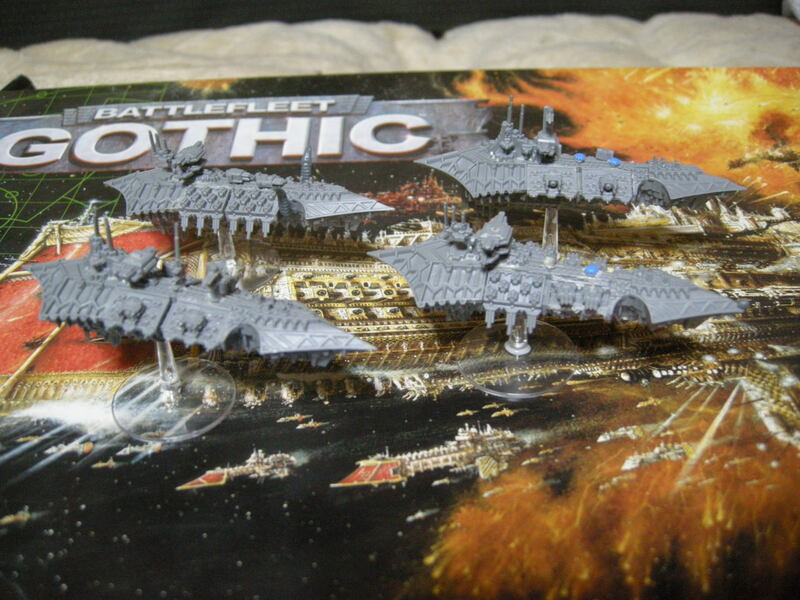 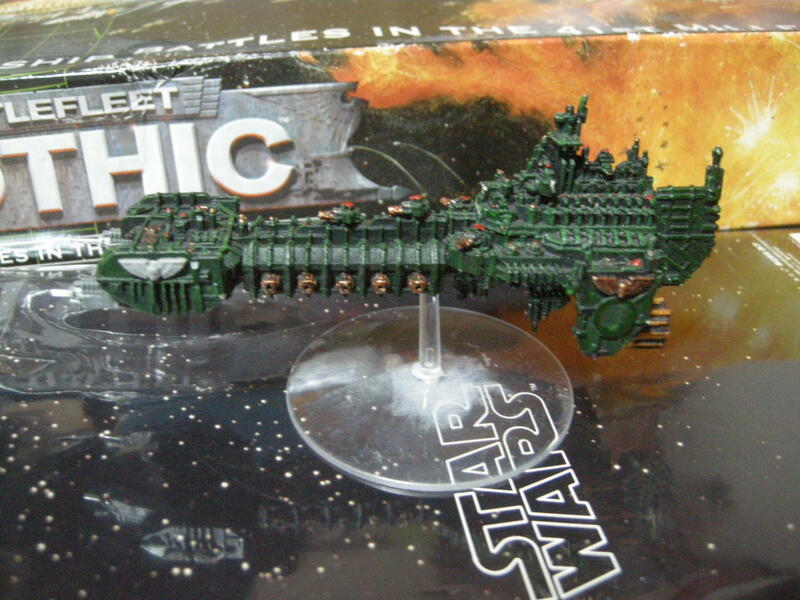 Started to paint the recently acquired Battlefleet Gothic ships. My first battle of BFG in 10 years,700 point cruiser clash with a friend , threw a lot of lucky sixes after a few turns my imperial opponent ships were all crippled, so we stopped when that happened. 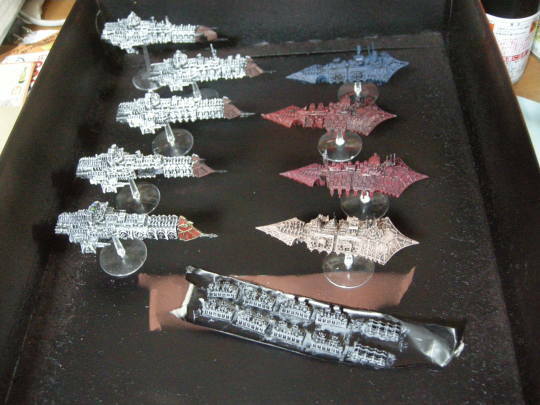 From the guy that i played BFG against last week i acquired some ships an incomplete Battlebarge and a bunch of Chaos cruisers. Those cruisers where made by a guy with no clue about the game most were unusable configurations, and i spilled blood for the chaos gods getting some stuff off.